Take home more from Deer Valley than the lift passes on your jacket. 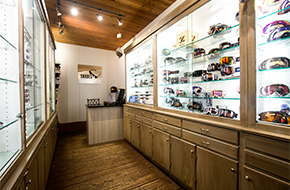 Shop for the latest in eyewear fashion at Shades of Deer Valley or the hottest winter threads for kids at NextGen DV. You’ll never be underprepared for the day’s adventures with essential sundries from Deer Valley Etc. and be sure to stock up on exclusive Deer Valley gifts and logo merchandise from Signatures before you leave. Stop by any one of our Signatures stores and pick up unique Deer Valley gifts for friends back home or memorable souvenirs for yourself. 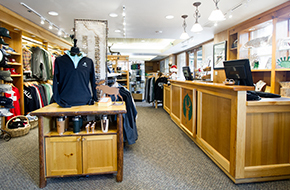 Our Signatures stores are stocked with exclusive apparel, blankets, accessories and glassware along with exclusive Deer Valley logo merchandise. You will also find specialty food items from Deer Valley’s chefs, like the legendary Turkey Chili mix or savory Fireside fig grain mustard. For a great gift anytime, Deer Valley gift cards are available and valid for any Deer Valley product or service. 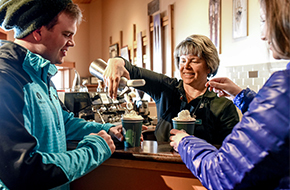 During the winter season at the Main Street Signatures location, you may also purchase single or multi-day lift tickets. Visit Deer Valley Etc. for last-minute sundries and delicious, on-the-go snacks from our kitchen. Browse our selection of exclusive logo merchandise and souvenirs while you sip on velvety, rich hot chocolate or flavorful coffees from the espresso bar. Wi-Fi Internet as well as use of a computer and printer (10 minute max) are also available here. 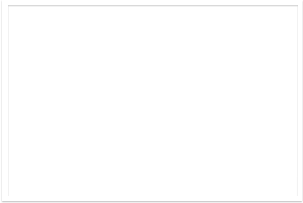 Please Note: Deer Valley, Etc. will remain open on concert nights for the duration of the show. 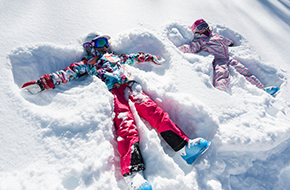 From tots to teens, shop NextGen DV for the latest styles in youth ski clothing and accessories from the likes of Spyder, Karbon, Descente, Bogner, Rossignol and more. After shopping NextGen DV, don’t forget to create and enjoy a tasty treat at Quincy’s Frozen Yogurt, located inside NextGen DV. Ski in style or sit out on McHenry’s Beach while wearing the latest in premium sport and fashion sunglasses and goggles from Shades of Deer Valley. With a large selection of eyewear from the likes of Maui Jim, Smith, Zeal, Vuarnet and more, you’ll be sure to find a style that’s perfect for you. Shades of Deer Valley also offers other accessory items, including versatile gift cards good for any Deer Valley product or service.